We start the new year of 2017 with a very special interview with Professor Brandon Morris from University of Nevada, LasVegas and Dr. Shirazi from Cleveland State university who have together published an article titled “Vision-Based Turning Movement Monitoring: Count, Speed & Waiting Time Estimation” at the IEEE Intelligent Transportation Systems Magazine. The interview is conducted by Dr. Ansar Yasar, a professor at Hasselt University. The podcast begins with the usual News Mini-section, by Dr. Maryam Kaveshgar. She will tell us about NVIDIA DRIVE PX2, EZ10, Infineon Technologies and Uber. Some very interesting things happening. Survey: Please, share your opinion about our Podcast! It’s only takes 30 seconds! 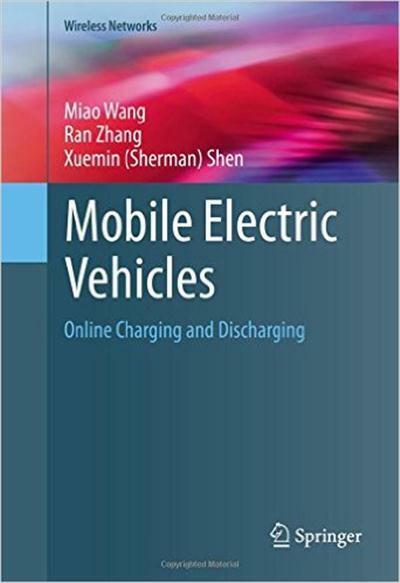 Mobile Electric Vehicles Online Charging and Discharging (Wireless Networks), By Miao Wang, Ran Zhang, and Xuemin (Sherman) Shen, Springer Press, 2016, 73 pages, ISBN-13: 978-3319251288 ISBN-10: 3319251287. There is a problem with the download link from this episode. It points to the previous episode, number 37. So sorry for this error. The download has now been fixed. Thank you for notifying us.